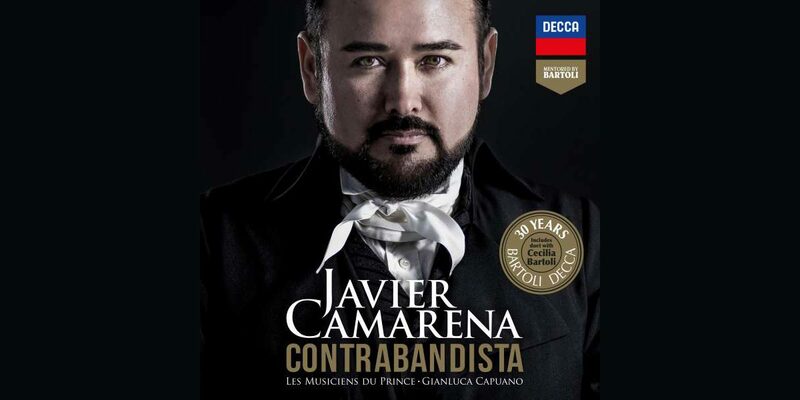 As announced today in Salzburg, Javier Camarena’s newest recording Contrabandista is available for pre-order on Decca Classics. The album, Javier’s debut on Decca Classics and the launch of Cecilia Bartoli’s new label “Mentored by Bartoli,” is an exploration of Spanish tenor, composer and impresario Manuel García. Javier performs three world premiere recordings of García works alongside arias by Rossini and Zingarelli and a duet from Armida with Cecilia Bartoli.